Now also available en español at essent.us/essentiq. 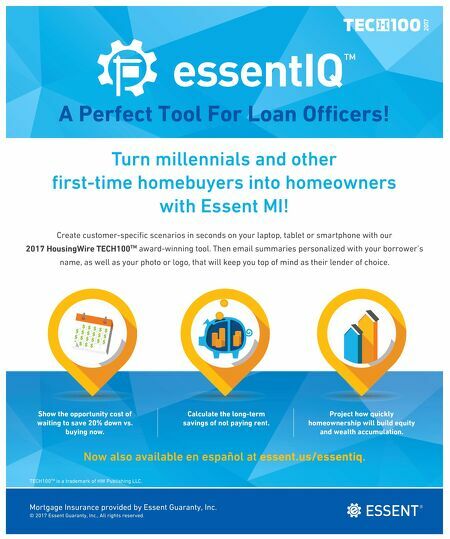 Turn millennials and other fi rst-time homebuyers into homeowners with Essent MI! Create customer-specifi c scenarios in seconds on your laptop, tablet or smartphone with our 2017 HousingWire TECH100 TM award-winning tool. Then email summaries personalized with your borrower's name, as well as your photo or logo, that will keep you top of mind as their lender of choice. Show the opportunity cost of waiting to save 20% down vs. buying now. Calculate the long-term savings of not paying rent. Project how quickly homeownership will build equity and wealth accumulation. A Perfect Tool For Loan O‡ cers! Mortgage Insurance provided by Essent Guaranty, Inc. © 2017 Essent Guaranty, Inc., All rights reserved. 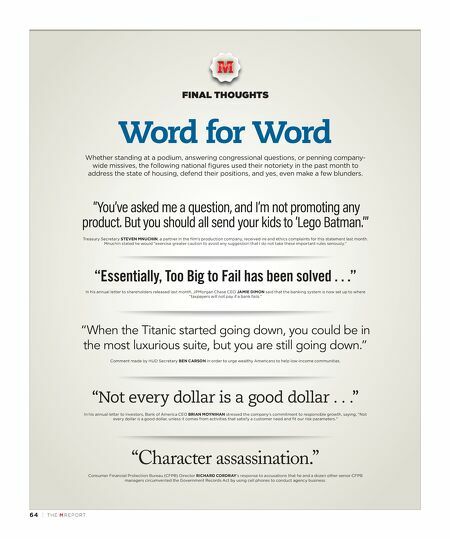 TECH100 TM is a trademark of HW Publishing LLC.